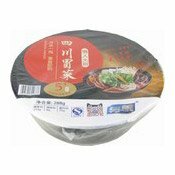 Ingredients: Vermicelli: Sweet Potato Starch, Cassava Starch, Corn, Starch, Salt, Soyabean, Emulsifier (E466), Acidity Regulator (E330). 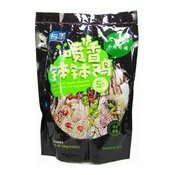 Powder & Vegetables: Salt, Dehydrated Vegetable, Sugar, Spring Onion, Yeast Extract, Chinese Prickly Ash, Flavour Enhancer (E621, E635). 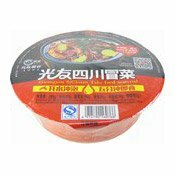 Sauce: Vegetable Oil, Watercress, Fermented Soya Beans, Salt, Soya Sauce, Chilli, Sesame, Chinese Prickly Ash, Food Colouring (E160c). Chilli: Chilli, Salt, Flavour Enhancer (E621). Vegetables: Kelp, Lotus Root, Potatoes, Bamboo Shoots, Assorted Vegetables, Water, Salt, Soya Bean Oil, Sugar, Chilli, Chinese Prickly Ash, Flavouring Essence, Flavour Enhancer (E621, E635), Antioxidant (E270, E316), Acidity Regulator (E260, E330), Preservative (E202, E266). 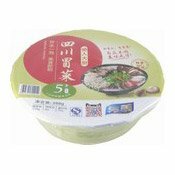 Simply enter your details below and we will send you an e-mail when “Sichuan Instant Vegetables (光友四川冒菜)” is back in stock!